Here is a quick one-stop place for stress-related articles (annotated where possible). This is NOT comprehensive. It is the material I have written, provided source material for, and/or developed in the last couple years. Tackle Stress Head-On - Article from November 2018 Hoard's Dairyman magazine. Chronic Stress & Farming - a Dangerous Combination - Article written by F. Holin (with John Shutske as source) at Midwest Forage Association. Presentation - Ten Take-Home Ideas to Positively Manage Chronic Farm Stress - Presented December 2, 2018 at Wisconsin Farm Bureau Annual Meeting and YFA Conference, Wisconsin Dells, WI. 🌟Video #3 -- Contains practical suggestions for farmers, familiy members and others who provide agricultural services -- on health, nutrition, exercise, PLANNING, goal setting, working with experts/professionals, mindfulness, etc. Best used with this publication for farmers as well as the "top ten" list for agricultural service professionals. 🌟Managing Dairy Farm Stress Webinar (See July 10, 2018 link) -- This is a one hour program (webinar) done as part of the four state dairy nutrition and management consortium -- featured speakers are J. Shutske and Larry Tranel, Dairy Specialist Iowa State University Extension and Outreach. WILL REQUIRE COMPUTER and ability to access Adobe Connect. 🌟Farm Stress and Decision Making During Challenging Times -- A comprehensive piece on farm stress and stress management practices related to communication, planning, education, personal health, nutrition, etc. Also contains a top-ten list of important safety-related reminders because of the connection between farm injury and stress. 🌟Helping Tame Farm Stress - a Top Ten List - A basic piece for helping professionals (rural leaders, ag finance, consultants, service providers, feed salespeople, vets, educators, etc.). How to help a farmer/family member regain a sense of control and hope when the stress response becomes overwhelming and incapacitates decision making. Case Study - The McHenry Farm: Our Brains on Stress - A combined story of about a dozen actual situations and scenarios from places like Wisconsin, Minnesota, and Indiana - A typical few days in the life of a farm family showing both the obvious acute impacts of stress, the damaging impacts of chronic stress and depression, and the outcomes on health, safety, children, communication and relationships. Stress Effects Everything - Article with Hoards Dairyman, covering impacts of stress on health and injury risk. 🌟Throttle Back on Stress - Commentary in Wisconsin Agriculturist magazine. compares the stress response to the fuel system on a farm tractor. Knowing "where the throttle is" can make a difference in our responses to tough times. Is Stress Wearing You Out? - Story by Brittany Olson in Dairy Star, on impacts of long hours, fatigue, and stress. Helping Tame Farm Stress - Wisconsin State Farmer newspaper. Contains information on goal-setting and planning. Farm Stress: Something to Fear? Or, a Call to Action? - from Wisconsin Agriculturist magazine. Talks about important work done here at UW-Madison and highlights of TED Talk by Kelly McGonigal on framing of stress and using the response as a call to act and connect with loved ones and community. 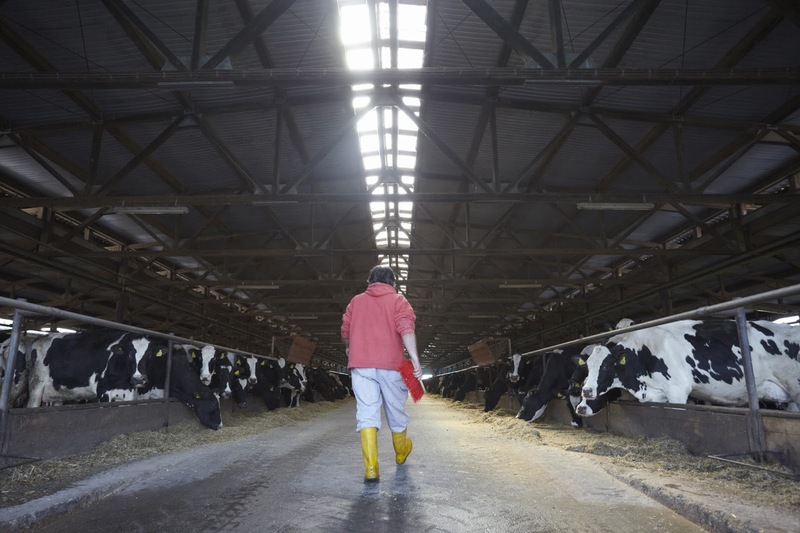 Stress Has an Impact on Dairy Farmers - In Dairy Herd Management magazine. Similar to "Challenging Times"✪ document above. Power Down the Stress Cycle - by my friend Cheryl Tevis of Successful Farming. Additional info is available by request. 🌟From Aug 2018 - Four-State Dairy webinar presentation - PDF format. Photos used on this page under exclusive licence agreement with Shutterstock. You may use ANY linked document in your work, but photos on this page should not be used without express permission. It's impossible to thoroughly cover all critical safety information in a short period of time. Be sure to always seek out OTHER critical information and resources on harvest season and silage/silo related safety. Farms can be dangerous and unforgiving places. Late summer and fall are high-risk times. In Wisconsin, we often have very tight time windows to get things harvested and put into storage to make it through the year. It’s that urgency and time pressure that can contribute to distraction and mistakes that lead to injuries or even death. 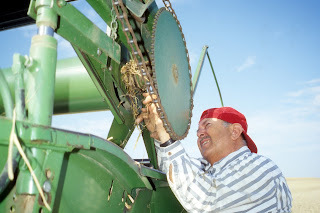 Machinery often plays a major role in serious farm injuries. 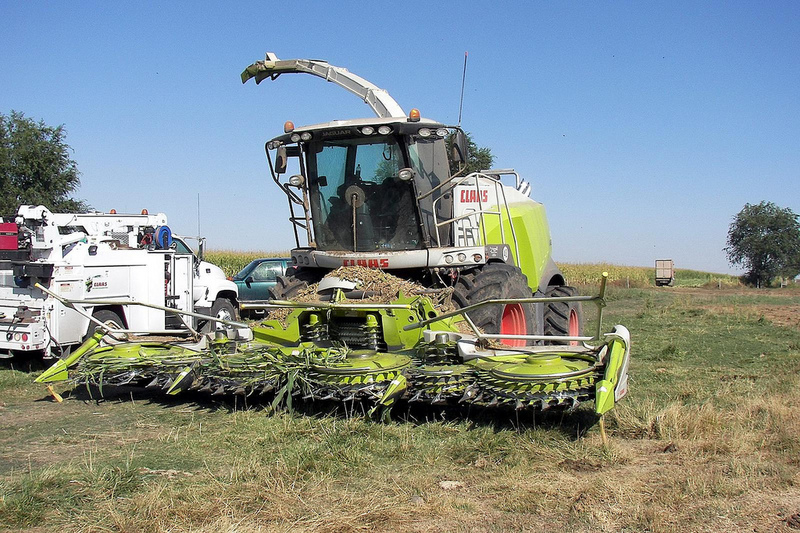 Shortcuts and mistakes can be deadly – PTO or other power unit entanglements; getting wrapped up in a self-unloading forage wagon; or, rolling a tractor on a bunker or pile often happen. The best way to prevent tragedies is to invest prep time to get equipment ready for the coming season. Adjustments required improve safety often also help maximize the quality and value of your crop. Think of your role in the same way an airplane pilot or race car driver would. That means you need to establish a comparable pre-flight or NASCAR-style pre-race checklist -- a run-through and shakedown to make sure all systems are "go.” Consult your operators' manuals. Are shields in place – on tractors, choppers, blowers, wagons, augers, your combine, etc? 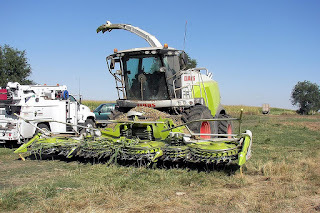 If you’re spending time on the road with farm equipment, SMV emblems, flashers, lighting and reflectors must be fully operational, clearly visible, and compliant with all state and local laws. Be aware of and comply with various weight, width and other roadway restrictions and laws. Many of our farms have hired workers who help during harvest – As an employer, spend time with workers even if they are family members, temporary, or part-time. Talk about your safety expectations. Operators’ manuals are a great source of information. The same is true if you’re hiring custom harvest work. You need to create and expect a culture of safety. ALSO -- Create an expectation that you will be open to listening and solving problems if a worker discovers something unsafe while they are working. With everybody involved in the operation, demonstrate and walk through safety procedures and show people exactly what to do if something unexpected happens. Make sure everyone involved in the operation has a way to communicate at all times. But realize that if it's a smartphone, steps need to be taken to make sure people are not texting or talking while driving/operating. It’s impossible to cover everything, so it’s critical to learn as much about safety as possible and adapt these and other recommendations to fit YOUR operation. When you’re processing and putting up silage in any type of structure, it’s a complicated job, and potentially dangerous. system, but is a particular problem in tower silos. in ALL kinds of silos – tower silos, bunkers, piles, bags – the biggest issue however, is when it’s a confined space. This could be in a tower silo, an adjoining room, the chute or in the space between silo bags. 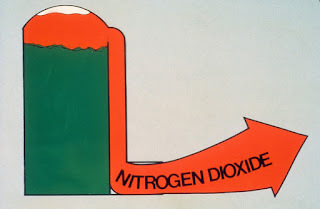 In the air, nitrogen dioxide has a faint yellowish color though in low light conditions, you probably won’t see it…It smells a bit like bleach. It is very irritating -- even a few breaths can cause serious health problems. Avoid silo gas, especially during that initial three-week post-harvest window. Treat a tower silo and areas surrounding stored silage as a confined space. Ventilate thoroughly – generally with the blower. Get more information – entering any confined space incorrectly has deadly consequences. There are special hazards with packing a bunker silo. Some great detailed information can be found in this piece from Penn State on horizontal silo safety. Tractor rollovers occur every season while people are packing bunkers and piles – It’s critical that you select the right tractor – it MUST have a ROPS (rollover protective structure) and a seatbelt. A wide front-end is also an absolute must. Front-wheel and front wheel-assist tractors provide extra traction and stability for packing. Duals usually increase stability as well as appropriately-placed weights. Backing a tractor up ANY slope is preferred – you achieve better stability AND CONTROL. On a slope – as you fill a bunker, make sure your packed, wedge-shaped surfaces are not too steep – We generally talk about a safe slope being 3 to 1 or something even less steep. On a pile or bunker that’s 20 feet high, you need a wedged surface do drive up that’s at least 60 feet long in the horizontal direction. Anything less, and you run a great chance of rolling a tractor. Only experienced people should be permitted to operate equipment. Require all equipment operators to remain in their vehicles to avoid being run over. Keep visitors and children out of ANY farm work zone. A packing operation seems cool and fun to watch - but operators have a lot to pay attention to, and the chaos associated with visitors and bystanders can be very distracting. Have workers wear brightly colored safety vests or t-shirts to increase visibility. 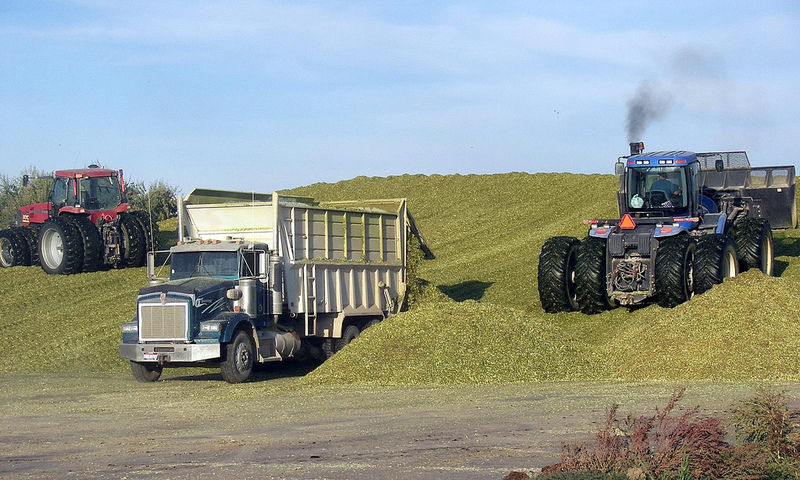 This post was originally developed to support a series of silage harvest-related podcasts posted by colleague Liz Binversie of Brown County, UW-Extension. This one is written to connect to the podcast covering processing and packing. Silo gas photo from personal collection. 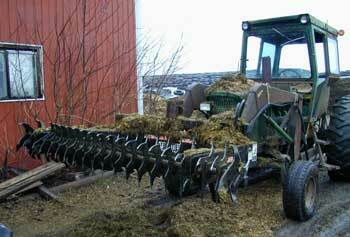 Silage Defacer - Involved in New York Death, 2005. Silage is often not very dusty, but when it is, it's usually because of poor storage or initial harvest conditions. We are most concerned when dusty silage, haylage, or stored hay that has gotten moldy and has easily released mold "spores" which create dusty conditions. Depending on a person’s health status, mold spores in dust can cause severe health effects. For some people, dust and mold spore exposure can cause an illness referred to as farmer’s lung or one called silo-unloaders syndrome. Farmer’s lung is especially a risk for people who have had allergies, asthma or other sensitivities. People prone to farmer’s lung should avoid these exposures. If you’re concerned, check with your family doctor or other health care professional. 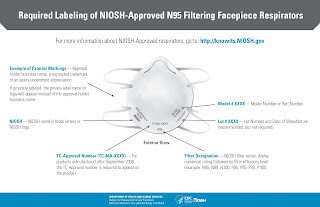 If you are working around many types of dust on a farm, a tight fitting dust mask can be helpful – We often talk about an approved and certified “N-95” mask. Make sure any mask fits well. Make sure all workers are in good health before they use a respirator. Safety and health standards actually require a doctor's "okay" before a person uses a workplace respirator because of the additional stress it places on the lungs and heart. It's impossible to use a dust mask and get a proper seal if the person who wears it has a beard or other facial hair. We strongly recommend that any respirator be used within the framework of a carefully-designed respiratory protection policy and program. On bunker silos – feeding can present special hazards – Big equipment is one – like loaders, tractors, trucks. It can be a busy, confusing and unsafe place. Employees need thorough training, and visitors and kids must be kept well away from the "feedout" area. Silage 'defacing' equipment is another hazard. There was a high profile death about 12 years ago. It involved a young man, 18-years old. He started his early morning on a modest, family-run dairy farm. Safety had been emphasized over and over on this operation. It was cold. The man started the tractor and raised the defacer about four-feet off the ground. We’re not sure why, but he engaged the defacer with the hydraulic lever and climbed off the tractor with everything running. Nobody knows exactly what happened, but he walked around the right-hand front of the tractor and his jacket got caught on the rotating outer edge of the defacer. It snagged him badly enough that he began to rotate with the spinning unit. His uncle heard this happening. He saw the situation. He shut off the tractor. He cut the victim's clothing loose and called for help. While he waited for the ambulance, he tried to give CPR – By the time the sheriff arrived, the victim was dead. These kinds of seemingly strange things seem to happen on farms someplace around the country almost on a daily basis – and in Wisconsin, we see frequent deaths and serious injury from being wrapped up in machinery. Do NOT get off a machine with parts moving. It’s just too risky. Another feedout safety concern is overhangs in bunkers and piles. 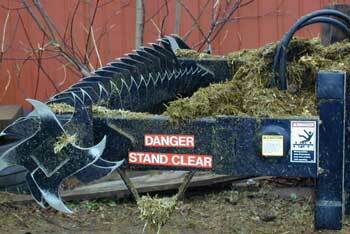 Undercut silage ledges can avalanche and trap a person under several thousand pounds of silage. Even a perfectly flat feedout face of a bunker or pile that appears stable can collapse, leaving a person buried underneath. The key point is to stay back from the front face of a bunker or pile at a distance of at least three times the height of the front face to avoid being engulfed by an avalanche -- So – if you’re looking at a front face that’s 15 or 20 feet high, you need to keep a distance of 45 or 60 feet…. When silage "samples" need to being collected, scoop up some silage in a loader, drive the loader away from the avalanche zone, and then take your sample from the bucket. Loaders can be equipped with heavy duty bars or mesh to protect the operator if a pile collapses onto the machine. Again, the farm is a potentially dangerous, industrial workplace – We’ve provided you with only some of the basics. There’s always more to learn. Don’t make assumptions. ALL who work on your operation need this understanding and need the knowledge and tools to do their work safely! 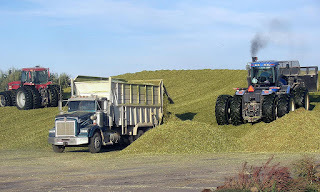 This post was originally developed to support a series of corn silage harvest-related podcasts that will be posted by colleague Liz Binversie of Brown County, UW-Extension. Chronic or acute bronchitis is common for those who handle grain as the main lung passages get inflamed. Grain dust can also be a significant and limiting problem for those with asthma. Higher concentrations of dust exposure like you might encounter close to a combine in operation, in a bin, or while unloading or processing grain are a concern especially in years where there are higher levels of mold present or when you have lower quality grain that might be more dusty and prone to damage. Most people who have worked around grain will occasionally find themselves in the midst of a space that is obviously very dusty. This “massive” exposure to a cloud of dust for several minutes or hours is something that should be avoided. Though, total avoidance might not always be possible or practical. A massive exposure to moldy, dusty grain even for a short period of time can result in two distinct medical conditions. These conditions are also common when exposed to dusty or moldy hay and silage. The two common conditions look VERY similar and have the same cluster of symptoms outlined above (cough, chest tightness, etc.) but they are actually quite medically different. These two conditions are “Farmer’s Lung” or Farmer’s Hypersensitivity Pneumonitis (FHP) and Organic Dust Toxic Syndrome (ODTS). “Farmer’s Lung” or Farmer’s Hypersensitivity Pneumonitis (FHP) is relatively less common and generally affects about 1 in 20 exposed individuals. Many times farmers tell their health provider about their symptoms and the reaction sometimes gets mislabeled as FHP. However, FHP is a delayed allergic reaction caused when highly sensitive people breathe in grain dusts causing their bodies to produce “antibodies” as a reaction to the dust. Since FHP is an allergic reaction and involves the body’s immune system, repeated exposures and bouts with FHP often get worse with each exposure. Some individuals may become physically unable to work in dusty areas and can develop permanent lung damage through repeated exposures. Farmer’s Hypersensitivity Pneumonitis is most often brought on or made worse by dust that contains mold, mold spores, and bacteria that had developed under warm/hot storage conditions. These heat-loving organisms are actually more likely to grow in stored hay or sometimes in the top layers of stored silage as compared to grain that was standing out in the field, though exposures that lead to FHP can occur from grain including stored grain. If you’ve been diagnosed with FHP before, and get sick in the future while working around grain (or hay/silage), it is a good idea to see your family doctor. “Organic Dust Toxic Syndrome” or ODTS, as the name suggests, is a toxic reaction as compared to the allergic reaction that causes FHP. The respiratory system can get inflamed from the dust, molds, bacteria, and endotoxins in grain dust. With ODTS, people develop a set of symptoms that look very similar to FHP even though the actual reaction by the body that causes the symptoms is quite different. 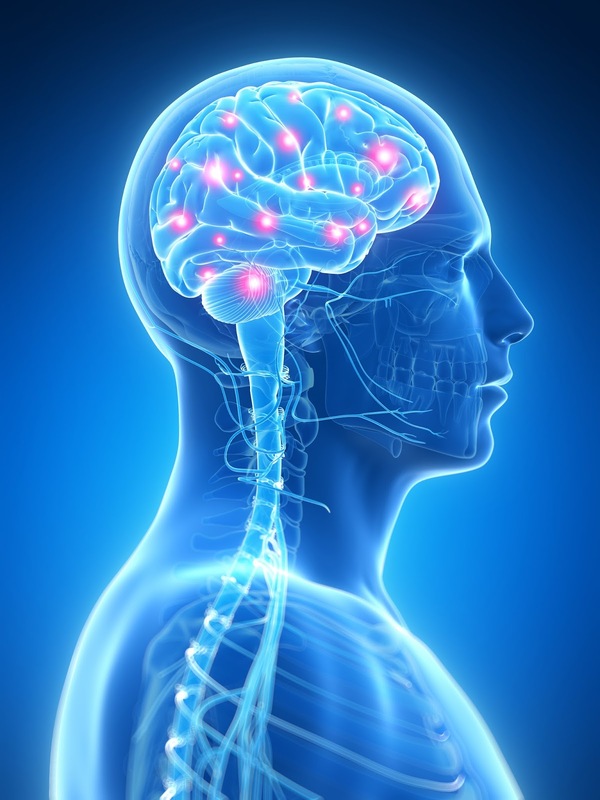 People who develop ODTS will usually recover in a few days. Permanent lung damage from ODTS is not likely to occur with a single exposure, but the person might feel fairly sick (fever, fatigue, cough, chest tightness, etc.) for a few days after exposure. Again, your family doctor or other health professional should be consulted if you develop this type of reaction. It is possible that repeated occurrences of ODTS can lead to FHP and other allergic reactions in some people, so prevention is important. A difficult problem is that since Farmer’s Lung (FHP) and Organic Dust Toxic Syndrome (ODTS) have such similar symptoms, it is hard even for health professionals to recognize and know the difference. Additional medical testing will be needed to tell the two apart. Medical treatment is also different. References cited at the end of this article might be helpful for your physician if you visit your doctor’s office with serious problems that you think might be connected to harvesting or handling dusty and moldy grain. Another concern in the late fall is that respiratory symptoms that result from grain dust exposure can look much like seasonal influenza. If you’ve been working in dusty conditions and end up with a “flu-like illness,” make sure you let your healthcare provider know you’ve had significant dust exposures. Influenza is a viral illness and is treated in a different manner from either FHP or ODTS. Have the correct and clean air filter in place when operating a grain combine. Use the appropriate setting on the blower in the cab whether you are using the heater or the A/C. This will minimize dust concentrations in the cab by creating slight pressure inside the operator’s station. When replacing cab air filters, make sure gaskets are intact and installed correctly and that the air is being well-filtered. Avoid direct exposures to dust whenever possible, regardless of your sensitivity. Stay in the cab with the door closed when unloading. If you’re outside unloading or moving grain in other ways, use the wind to your advantage rather that standing directly in a cloud of dust any time grain is being moved. Properly adjust your combine to minimize grain damage. This will help to also minimize the amount of dust being generated. Properly harvested grain will also store better and for longer periods of time with fewer mold and insect issues. 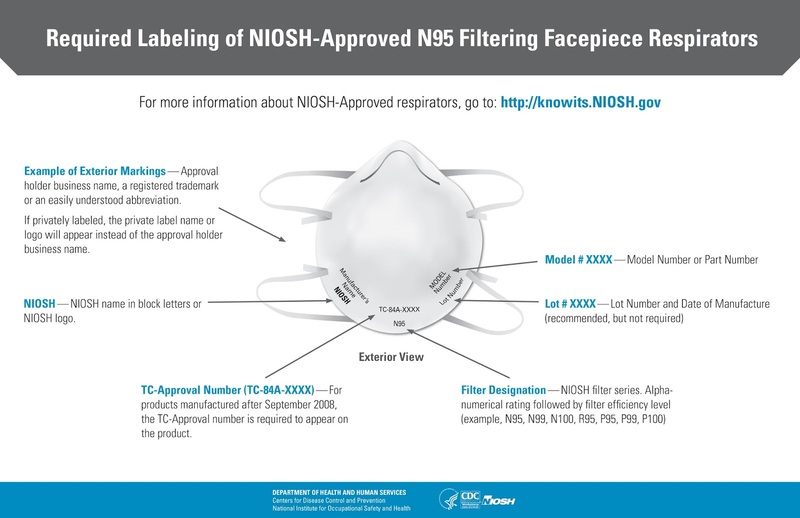 Wear a NIOSH-approved and certified “N-95” dust mask (respirator) that fits your face properly. This is especially critical if you find yourself working in a very dusty situation that cannot be avoided. CAUTION: Wear a respirator only if you are free of health problems, particularly with your heart and lungs. Respirators are only effective if you are cleanly shaven. Local health professionals can be a great source of information and can recommend the type of respirator that can be safely worn if a person has any underlying medical conditions including cardiac and respiratory conditions. If you have a beard or need extra protection, a powered air purifying respirator (PAPR) also commonly known as an “air helmet” can be used in these situations. If you work in a facility where worker safety regulations for respiratory protection apply (such as a grain elevator or feed mill), there are other mandated regulatory requirements before a dust mask or other type of respirator can be worn by workers. Avoid dust exposure if you have any chronic respiratory health issues, including asthma, previous experience with Farmer’s Hypersensitivity Pneumonitis, or existing respiratory infections or conditions. 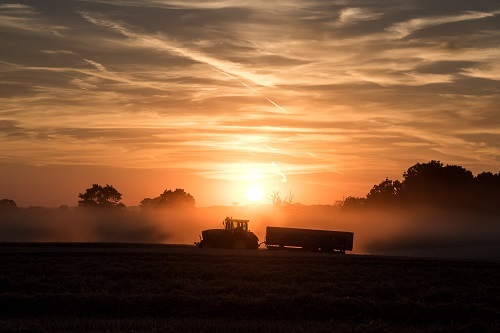 Individuals who have these conditions should be alert for symptoms, even when working in a relatively clean environment like the cab of a combine, and should minimize their exposure to dust. If you feel sick, call your health care provider. If you find yourself working in a very dusty situation (like loading or cleaning out a bin or getting a heavy, prolonged exposure near a combine in the field) and end up feeling sick a few hours later, call for medical advice. Again, your problem may be a condition like ODTS or FHP, but you may also have seasonal influenza or another illness. Paul Esker, PhD, University of Costa Rica, San José, Science Education, Mathematics Education, Plant Protection and Animal Health. Donham, K. J., & Thelin, A. (2006). Agricultural medicine: occupational and environmental health for the health professions. Wiley-Blackwell. (Chapter 3 contains information that can help a health professional differentiate between Farmer’s Hypersensitivity Pneumonitis and ODTS). Girard, M., Lacasse, Y., & Cormier, Y. (2009). Hypersensitivity pneumonitis. Allergy, 64(3), 322-334. Kirkhorn, S. R., & Garry, V. F. (2000). Agricultural lung diseases. Environmental health perspectives, 108(Suppl 4), 705. Seifert, S. A., Essen, S. V., Jacobitz, K., Crouch, R., & Lintner, C. P. (2003). Organic Dust Toxic Syndrome: A Review: REVIEW. Journal of Toxicology: Clinical Toxicology, 41(2), 185-193. ● I haven’t started the paperwork for that major loan due next week! ● Who knows whether the big tractor will make it through another full chopping season? ● Should I go back to school with so much economic uncertainty? ● How will I ever find time to learn more about precision farming? ● What will happen to commodity prices after all this political turmoil? ● My spouse and I just cannot talk about things the way we used to. ● I haven't had a moment to myself since we added all that custom work to make our business plan feasible. ● There's a missed call on my smartphone—One of our employees is hurt! Stress is a double-edged sword. A little stress can serve as a constructive motivator, galvanizing us to action. Too much stress, on the other hand, can damage our health, compromise safety, and sabotage personal relationships. It diminishes our capacity for considering and evaluating alternative solutions to complex problems, and this can limit our power to make sound decisions. Stress often manifests itself through vicious cycles with escalating consequences that can paralyze a person or family. 1. What causes stress in the lives of farmers, their family members, workers, and those closely connected? 2. How do successful individuals and families in agriculture cope with stress? 3. How can I help myself or others when there is too much stress? From the Canadian Centre for Health and Safety in Agriculture, University of Saskatchewan, data suggests that cash-flow and other financial worries can lead to loss of sleep during critical "busy" seasons. The abstract says: "Farm work involves seasonal peak busy periods with long hours of work and potential sleep loss. ...During peak agricultural seasons, 31.6% of owners/operators reported less than 6 hours of sleep per night compared to 6.3% during the non-peak seasons (p< .01). A significant relationship (odds ratio [OR] 3.59, confidence interval [Cl] 1.58-8.13) was observed between daily cash flow worry and impaired sleep during peak busy seasons. A large proportion of farmers surveyed suffered sleep deprivation during peak seasons, and this sleep loss appeared related to worries about cash flow that were not observed during non-peak seasons. It is possible that sleep loss during peak busy seasons may be related to impaired judgment, as shown by differential worry habits, and might also be related to the high injury rates in farmers during peak busy seasons." The busy fall harvest creates tremendous stress for farmers and their families. In fact, farming is recognized as one of the most stressful occupations in America. It’s also one of the most dangerous. During the harvest rush, take time for yourself. It's easier for your body and mind to handle the stress this crunch time creates if you eat a well-balanced diet and get plenty of rest. Take time for your family and friends. One of the best ways to deal with the stress and pressure of farming is to talk openly about it with loved ones and friends. This message is brought to you by _____________________________, working with communities to promote a healthy and productive Wisconsin agriculture. During this year's harvest season, a $300 thousand dollar combine can become a smoldering scrap heap in a matter of minutes. Combine and other farm machinery fires are common, but also preventable. Make sure your equipment is properly adjusted and maintained. Keep all areas of combines and tractors clean of crop residue and other flammable material buildup. Every combine should also be equipped with at least two ten-pound ABC dry chemical fire extinguishers. This message is brought to you by _____________________________, working with communities to promote a healthy and productive Wisconsin agriculture. One of the deadly gases that many Wisconsin dairy farmers encounter each year is silo gas, or, nitrogen dioxide. Silo gas forms a few hours after filling any type of silo, but it is especially an issue with tower silos. Silo gas is heavier than air, has a yellow-brown hazy appearance, and smells like bleach. Stay out of a freshly-filled silo and surrounding areas for at least two weeks after filling. When it is safe to enter, run the blower for at least an hour to assure that the gas has been removed and that there's a fresh supply of clean air. This message is brought to you by ___________________________, working with communities to promote a healthy and productive Wisconsin agriculture. Fall harvest is one of the busiest times of the year for farm families. It's also one of the most dangerous. Before you begin harvest fieldwork, make sure your combine, augers, trucks, wagons and other equipment are in top condition. Your operator's manual provides the best information for preparation. The frustration when a breakdown happens can lead to a serious injury. Take time... ahead of time... to make sure this harvest season is safe and productive. This message is brought to you by ______________________, working with communities to promote a healthy and productive Wisconsin agriculture.